Hi sweet Momma! I think it’s safe to say that I used to have an intense bout of fear and anxiety in the kitchen. Many of you know that I had my fair share of eating disorders in my late teens and early 20’s, but after years of research, trial and error, and healing, I completely changed by approach and relationship with food. One of my biggest takeaways from that season struggle is that your kitchen should be a place of nourishment and memories, not a place of anxiety or obsession…. WOW. Powerful, right?! We could just do a #micdrop and be done with today’s blog, but I won’t ;) I’ve got a few more things I want to share with you so let’s dive on in! 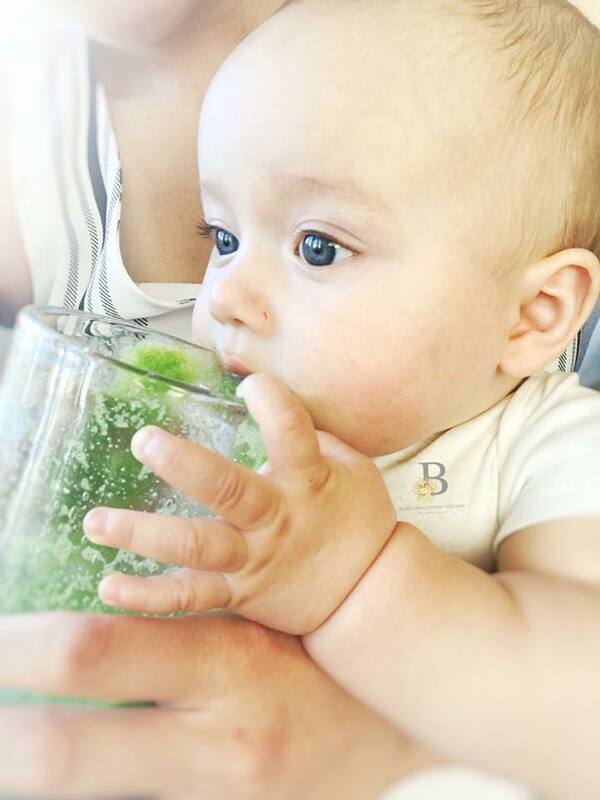 PS.. how cute is Brody with his BMAB green smoothie? I can’t even! My little boy is growing up SO FAST! Now, as a mom myself, I’ve come to realize that there truly is no greater gift than when a Mom is healthy and whole herself. When we learn to have a nourishing and positive approach to food, we are modeling what it’s like to have a healthy relationship with food and how we can use food to honor our body, NOT punish it! Your kids are going to pick up your habits and whether those habits good or bad…that my friend is up to you! It is my hope that the 5 strategies I share with you today will help you heal any unhealthy thoughts or relationship(s) you may have with food and sister…. if you’re struggling with a few extra pounds because, hello #momlife, these tips might just do the trick to get you feeling your best! Eat as close to the earth as you can! Try filling your diet with foods like fruits and vegetables, nuts, seeds, and basically anything that comes from the ground! I want you to stay away from processed and packaged foods! Some of my favorite “earthy” foods and staples that I keep in our house every week are dark leafy greens, okay pretty much every type of fruit and vegetable you can think of haha, sweet potatoes, squash, quinoa, couscous, almond, walnuts, dark chocolate ;), lentils, sprouts and of course when I stock our fridge and pantry for the week following the “one grocery trip a week” rule via The Blossom After Baby plan, I look for 80% of my groceries to be organic~ so things like almond milk, almond milk yogurt, hummus, etc….. they’re all going to be organic! I actually didn’t realize how inflammatory dairy and grain can be do the body until I started to read lots of research on it and then started to experiment with my own body! I slowly started to eliminate (MOST) dairy and grain from my diet and realized how much better I felt! I was less bloated, by jeans fit better, and I didn’t have indigestion like I did before. You may be sensitive to dairy and gluten or you may not, a lot of people are so experiment with it! I by no means live completely dairy or grain free. In fact, I LOVE CHEESE and many of my healthy, sweet recipes inside the Abundant Motherhood Club do call for an egg or two. I just minimize it in our life and have noticed a HUGE difference! If you want to try this for your lifestyle, try substituting almond or a gluten free flour for white flour. Gluten free oats for regular oats. Almond or coconut base milk instead of cow’s milk and if you are in the AMC… little tricks like using butternut squash instead of gobs of cheese for our healthy mac n cheese recipe is a really fun trick too ;) ! See! There are lots of ways you can still enjoy food without having so much dairy + grain! Get rid of processed foods and fake sugars! Fake sugars like splenda, equal, sweet n low, etc actually do your body more harm than good. Same goes for processed foods, Momma! I know you know this, but sometimes (all the time) as Moms, WE ARE BUSY and processed foods are quick and easy for us to grab and go… right? Although there is truth to that there is also truth in you learning how to cook healthy meals that are stored and ready for you… which you can then grab and go (we’ll go over this on the next tip)! So bottom line is this~get rid of the processed foods and fake sugar in your house. It’s not going to serve you, your body, or your children well! If you’re looking for a natural switch from fake sugars, try stevia in the raw, organic raw sugar, organic honey, or organic maple syrup. Learn to cook the right way! If you’re an Abundant Motherhood Club member, this is LITERALLY the heart of our community! It is SO important for you to learn how to cook the right way so you can not only nourish your body but also the sweet little bodies in your home. You don’t have to throw together freezer meals or swing in and grab a pizza because there’s no “time” to cook dinner… Listen, Momma. You need a plan. You need to learn the power of filling your fridge and freezer with home cooked meals that are quick and easy to make, full of nutrition, and light on calories…. AND you need to experience the power of a good smoothie (EVERY. SINGLE. DAY) and of course how to prepare nourishing and healthy desserts! When you unlock these secrets and truly tap into the ability and power that YOU have in the kitchen, your body, mind, and energy will be forever changed! Remember, YOU are the heartbeat of your home! When you can cultivate a healthy relationship with food, you’re influencing your family to do the same as well… and that, my friends is a beautiful thing! Here cheering you on, ALWAYS…. 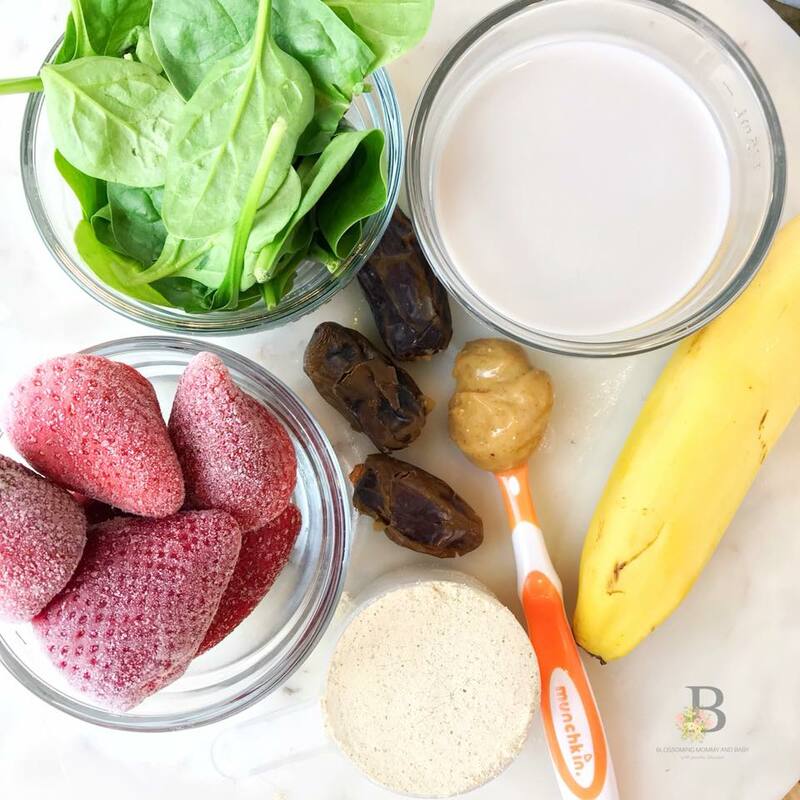 and if you loved today’s blog, be sure to get your smoothie routine started! It’s an amazing place for you to start improving your health! (PS- come connect with me in our private Moms Facebook group + let me know what you are going to do TONIGHT to better improve your relationship with food in the comments below or over on Instagram! Create Your Feel Good Smoothie Routine! Join thousands of Mommas inside the BMAB community for an exclusive 5 Day Smoothie Challenge to kick off your healthiest #momlife to date! if you’re looking to maximize your beauty, health, + vibrant energy as a busy Mom, then get in here, girl! What YOU need to know about being a BUSY Mom and ROCKING healthy meals!